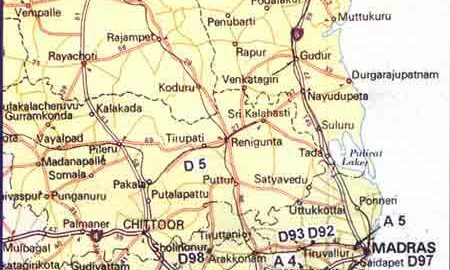 Chandra Pushkarani, Cauvery, Kollidum & Vedashringam Rivers. Dharma-varma, Ravidharman, Chandra and Vibhishana. 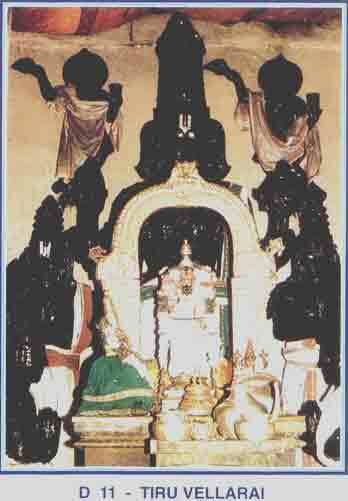 Poigai Azhwar (1), Boodathazhwar (4), Peyazhwar (2), Tirumazhisai Azhwar (14), Nammazhwar (12) ( Tiruvaimozhi – 7.2.8), Periazhwar(35),Andal (10), Kulasekara Azhwar (31) , Tondaradipodi Azhwar (55) ( Tirumalai -2) Tirumangai Azhwar (73), Tirupannazhwar(10) Total – 247 pasurams. A beautiful islet between Cauvery and Kollidam rivers. The Lord is facing south to protect Sri Lanka and Vibhishanazhwar to this day as promised. The Gopuram on the southern side is the tallest tower in India. 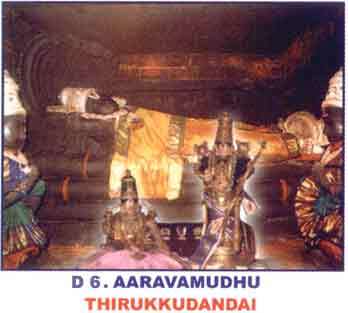 Avathara Sthala of great Acaryas viz Bhattar, Peria Nambi, Pillai Lokacharya, Vadukkuthiruveedhi Pillai. Araiyar Seva- musical rendering of Divya Prabanda as enunciated by Srimad Nadamunigal is very famous. The title of Kavitarkika Simham and Sarvatantra Swatantra was given by Sri Ranganatha and Sri Ranganayaki to Swami Vedantha Desika. Sri Ranganatha deems Sri Manavala Mamunigal as His Acharya and the Thaniyan “Sri Sailesha Dayapatra…..” was composed by him assuming the form of a disciple, after listening to the Thiruvoymozhi discourse. It is customary to have the darshan of the vimanam and the golden idol of Paravasudeva. A Sannidhi for Sri Danvantri Bhaghwan situated north of Paramapadavasal is a unique feature of this Kshetra. 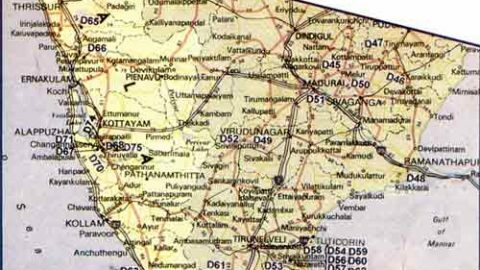 About a km from Srirangam station on the Trichy – Madras route and about 8kms from Trichy Station by road. Hema Pushkarani, Potrammarai, Cauvery nadhi, Arasalaru. 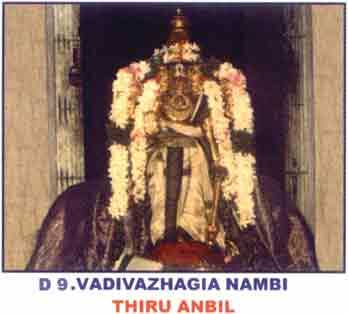 Vaideeha Vimanam (Veda Veda Vimanam). 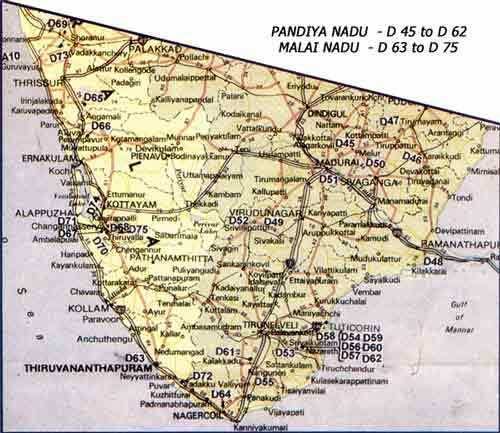 Boodathazhwar (2), Peyazhwar (2), Tirumazhisai Azhwar (7), Nammazhwar (11), Periazhwar(3), Andal (1) & Tirumangai Azhwar (25). Total – 51 pasurams. Sriman nadamuni got back the 4000 Divya Prabhanda which was lost to mankind when he heard the Aara-amude Pasuram (Nammazhwar – Tiruvoimozhi) being sung at this temple. 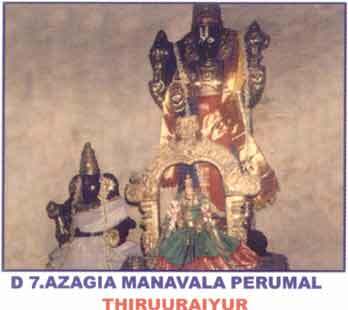 The Lord has the pose of Utthanasayee as He got up at the request of Tirumazhisai Azhwar (Kidandavaru ezundiru) and hence called Aravamudha Azhwan and the Azhwar Tirumazhisaipiran (Piran – Lord). The (Chariot) and the Chitra (April – may) festival is very famous, a special Prabhanda – Tiruvezhukootrirukkai of Tirumangai Azhwar is entirely composed on this chariot.The temple itself is constructed in black stones in the form of a chariot. Sri Ramaswami Temple and Chakrapani Temple are important temples in this town. Lord Chakrapani seen with Astabujas (Eight Hands) is considered the younger brother of Lord Aaravamuda. Sri Ramaswami temple is in Pattabhisheka ( Coronation) kolam with Bharata, Shatrugana, Lakshman and seeta along with Anjaneya with Veena. The place is called Kumabakonam as the Amrut Kumbha (vessel) with all material for the creation of this world settled here. About 1.5 km from Kumbakonam Station on the Madras-Trichy Main line. Kalyana Theertham, Surya Pushkarani, Kudamurutti River. Ravi Dharma – 33 Crore Devas. As per Sthala puran, Kamalavalli Nacchiyar, the daughter of Chola King fell in love with the Lord and observed penance. Pleased with her efforts, the Lord Azagiya Manavalan came and married her. 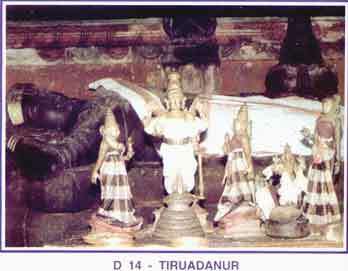 Avathara Sthala of Tirupannazhwar. There is a spearate sannidhi for the Azhwar. Kalyana uthsavam is celebrated on Panguni (March-April) Pooram day when Lord Ranganatha from Srirangam graces the occasion. This is a part of Trichy Municipality and is about 3 kms from Trichy Station. 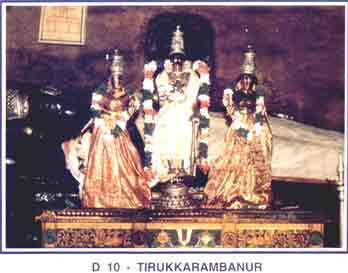 Amrutha Theertham, Kannika Pushkarni, Vennaru. 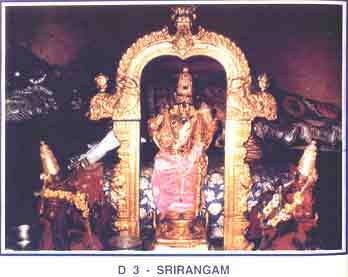 *Nrisimha* Posture: Sitting Thirumugamandalam: East. Markandeya Uthsavar- Sriman Narayana in all the three temples. All the three temples together is considered as one Divya Desa and are about 200 m from each other. The Lord presented himself in the form of Nrisimha to Dhatchagan( Thanjagan – in Tamil ) at his request, hence the name Thanjai. 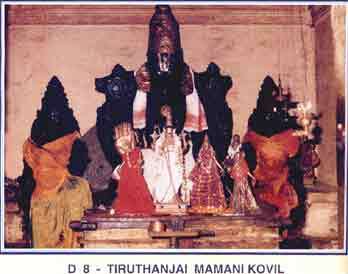 The Lord in Tanjai mamani kovil faces Thanjavur , hence is that Thanjai Kattharulum Deivam ( Protector of Thanjavur). 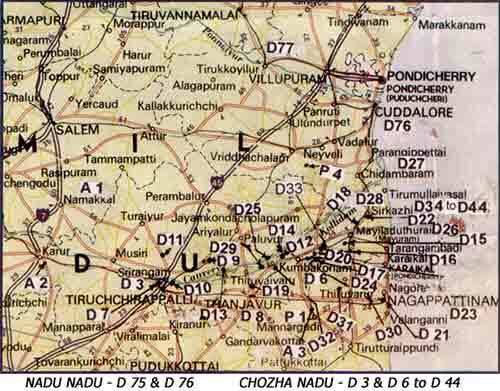 Situated at Vennatrankarai (Vennar Bank) about 4 kms Thanjavur station on the Madras – Trichy main line. Kadambamuni,Tirumangai Azhwar, Uparisaraavasu, Sanga Sanandana, Sanat Kumaras. 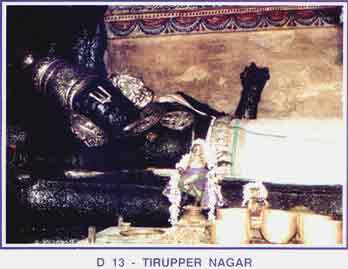 Tirumangai Azhwar (1) Total – 1 pasuram. As per sthala purana, Shiva plucked out one head of Brahma due to envy . Kapala got stuck to his one hand due to Brahmahatthi dosha, he obtained salvation from this curse when Mahalakshmi gave biksha here. There are separate sannidhis of Brahma, Shiva, Parvati, Saraswathi among others. Lord Shiva is present here with his family in the form of Bhikshadana Moorthy. 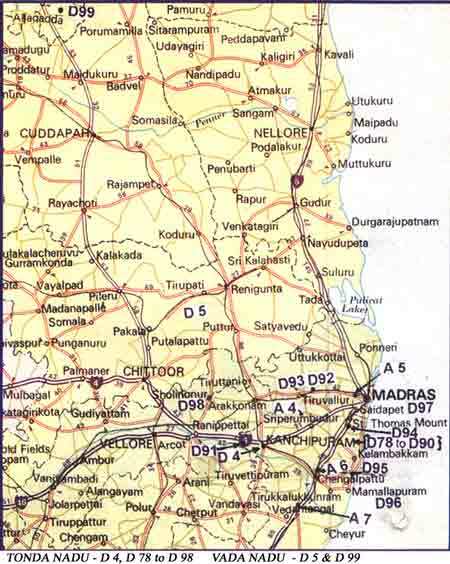 This is a small staiton about 9 kms from Trichy on the Trichy Madras Chord Line. Moolavar – Senbagavalli, Pangayaselvi Uthsavar: Pankajavalli. Divya, Gandha & Ksheera Pushkarnis; kusha, chakra, pushkala, padma, varaha, Manikarnika theerthams all inside the temple compund. Peria Tiruvadi(Garuda), Sibi, Bhoodevi, Markandeya, Lakshmi and Brahma – Rudradi Devas. Periazhwar(11), Tirumangai Azhwar (13) Total – 24 pasurams. There are two entrances to the temple viz. Uttarayana Vasal (Entrance) and Dakshinayana vasal used during respective periods – Thai to Aani (Jan – July) and Aavani to Margazhi (July to jan). There is one more entrance namely the Naazhi kettan vasal signifying the entrance used by the Lord when he came late and was questioned by Thayar. 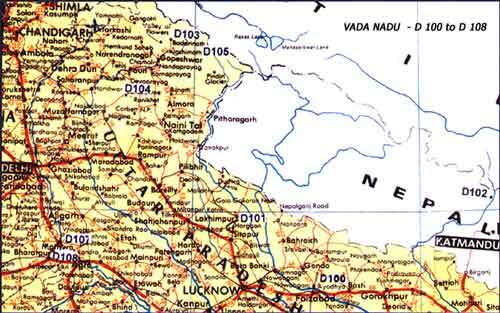 One could have darshan of Sridevi, Bhoodevi, Surya , Chandra, Aadisesha in Prakruta sharira serving the Lord. Avathara Sthala of the Acaryas – Uyyakondar and Engallazhwan.This place helped bhagwat Ramanuja in propagation of Srivaishnavism. About 20 km from Trichy on the road to Turaiyur. Tirumangai Azhwar (10) Total – 10 pasurams. The temple is on the spot where Sriram rested after giving moksha to Jatayu as per sthala purana. 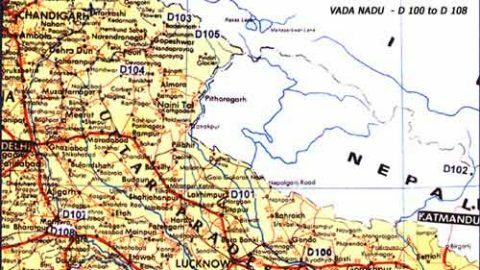 Sita is not nearby as Ravana had already abducted her, hence only Bhoomiprati is seen. The Utsav Moorthy of Sriram(Valvil Raman) has four hands (Chaturbuja). 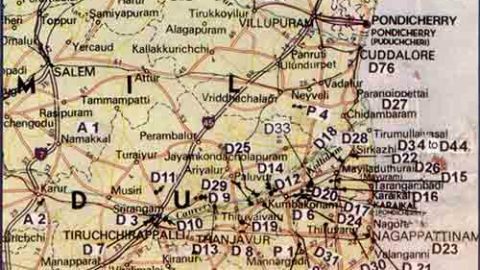 About 5 Kms from Swamimalai on the Kumbakonam – Swamimalai- Tiruvaikavur road. The Lord is seen witha Marakkal ( a woodden measure ) as a pillow. 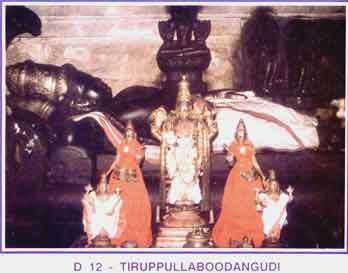 On the left hand is a Olai( palm leaf) and a Ezutthani ( a writing implment) Tirumangai Azhwar and Kamadenu can be seen at the foot of the Lord. About 3 kms from Swamimalai station.